Once upon a time, I used to have a small convertible tablet PC made by Fujitsu. I gave that computer away about 2 years ago. 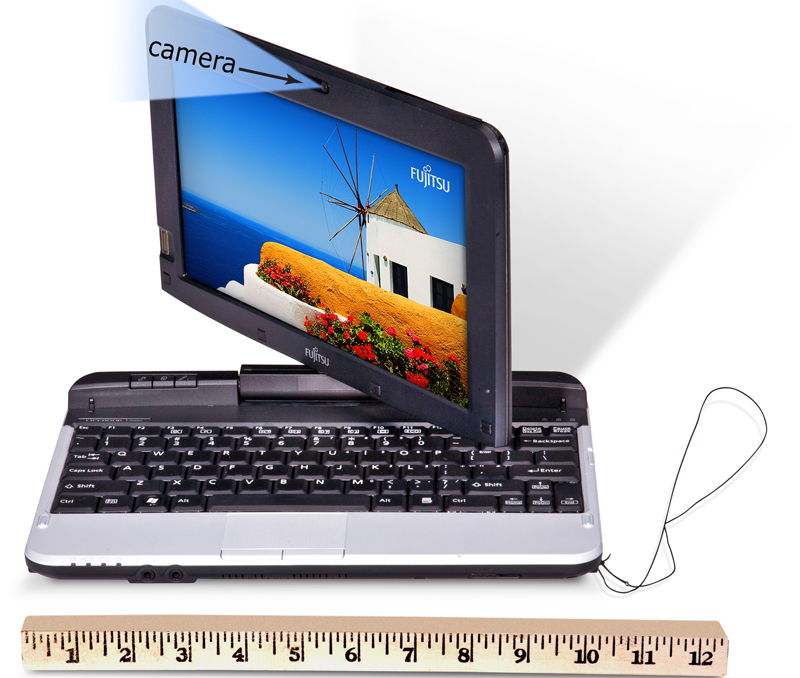 The Fujitsu LIFEBOOK® T580 Tablet PC looks like it's a great little device for people who need a device that blends the benefits of a netbook (small, portable, + keyboard) with a capacitive touch-screen tablet that runs Windows 7. So, it's not as light as an iPad, but it gives you a functional keyboard when you need it. You can also get an optional hand strap for this small convertible tablet PC. This hand strap makes handling and carrying your LIFEBOOK Tablet PC easier. The hand strap comes with an attachment bracket that allows you to attach it to the threaded inserts on the back of your tablet to provide a secure attachment. The adjustable Velcro makes this hand strap easy to adjust for any size hand. The T580 starts at $1,149, but you can save $100. From 2/09 - 2/18, receive $100 Off* LIFEBOOK Notebooks and Tablet PCs.Use coupon code FAIPREDISC at checkout to redeem.